Could a Probiotic Solve Your Health Woes? - Doctor Hermann M.D.,P.A. Sometimes the most powerful health solutions are the simplest. Many people are often surprised to learn that bacteria can actually be the key to regaining their health. Yes, that’s right, bacteria. It is a major misconception that all bacteria has to spell out doom. The truth is that healthy bacteria is absolutely critical to the body in order balance the gut, prevent and treat some illnesses, and even help the skin look rejuvenated. Probiotics are the opposite of antibiotics. While antibiotics kill the bad bacteria that causes infections and illnesses, probiotics actually give the body healthy doses of bacteria. This makes sense, since the word probiotic actually means “promoting life”. When the bacteria in the body falls out of balance in favor of “bad” bacteria, the intestinal tract reacts badly. Probiotics can be found in yogurt, fermented food, and supplements to effectively put the body back in a healthy balance. 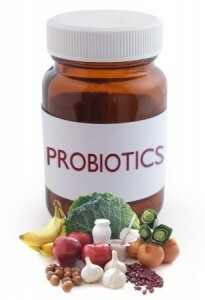 First and foremost, probiotics protect the digestive tract and keep it healthy. A healthy digestive tract can effectively filter and eliminate toxins, chemicals, and other waste products that cause harm if they stick around too long. With a healthy balance of bacteria in the gut, the stomach avoids the pains of indigestion, IBS, diarrhea, ulcerative colitis, and other unpleasant conditions. And when the digestive tract stays in balance, the rest of the body benefits. A strong digestive system actually creates a strong immune system since the body can adequately battle germs and support itself against infection. Recent research now shows that probiotics also positively impact oral health, the lungs, and the skin by minimizing disease-causing inflammation. Overall, probiotics are undoubtedly a powerhouse solution for the body. Whether using them to heal illness or sustain strong heath, they are one of the best investments anybody can make for long-term wellness. Is There Such a Thing as Needleless Acupuncture?